UCF’s formula is based on the chemical signature of the soils on Mars collected by the Curiosity rover. Britt built two calibration targets that were part of Curiosity rover. 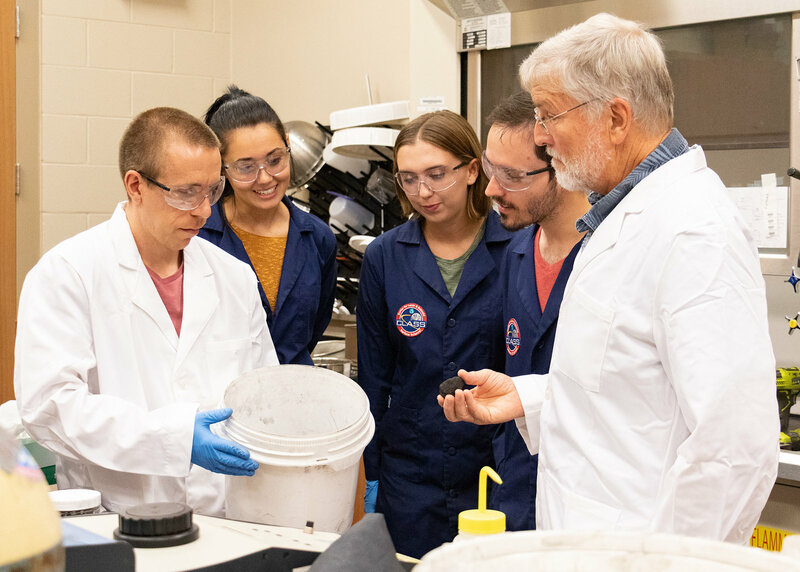 Researchers currently use simulants that aren’t standardized, so any experiment can’t be compared to another in an apples-to-apples kind of way, Britt said. Cannon is in Montana to collect ingredients for a moon simulant this week. Moon and asteroid materials are rare and expensive on Earth since they arrived via meteorites in small amounts. That’s why asteroid and moon simulants are also on the list of items that can be ordered. 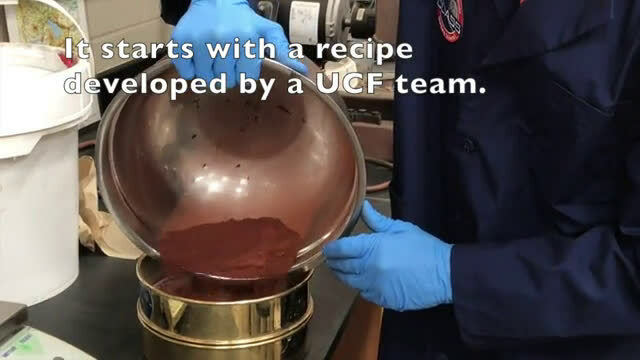 The UCF team can mimic most ingredients and will substitute for any potentially harmful materials. All simulants produced in the lab, meet NASA’s safety standards. “I expect we will see significant learning happening from access to this material,” Britt said.